This fall, PEN America is proud to take part in the 2018 annual Boston Book Festival. The Boston Book Festival celebrates the power of words to stimulate, agitate, unite, delight, and inspire. 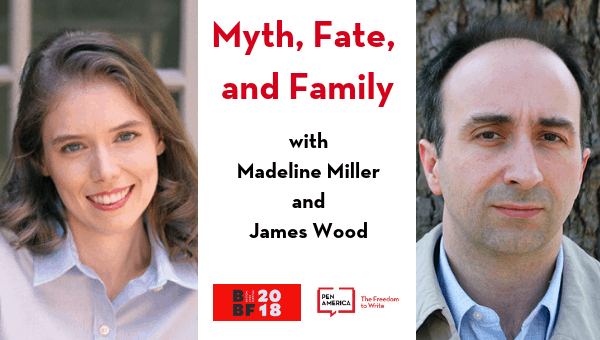 As part of the celebration, PEN America will present Myth, Fate, and Family, a discussion between two authors exploring how we come to terms with history—familial and personal—to create a more tenable future. PEN America is thrilled to take part in this celebration of the literary community of Boston. Be sure to join us during the Festival for the chance to meet PEN America staff, learn more about our work, and to receive discounts on your Membership and PEN America publications. Stop by Booth #10 for discounted merchandise and to chat with our staff about the work PEN America does! 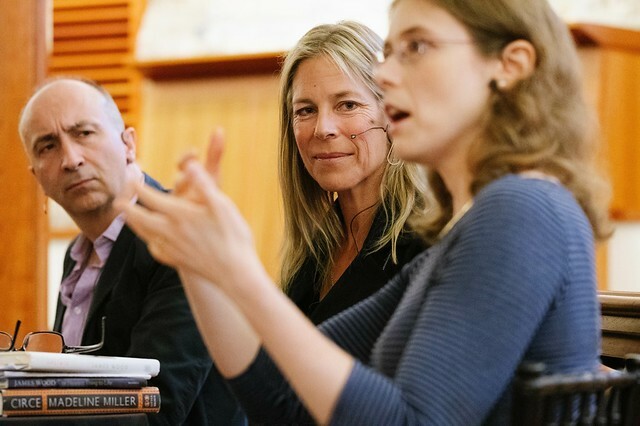 The two powerful novels considered in this session explore how we come to terms with history—familial and personal—to create a more tenable future. In New Yorker book critic James Wood’s novel, Upstate, Vanessa, a philosophy professor in upstate New York, has forged a new life far from her childhood home in the UK. A serious bout of depression brings her father and sister for a visit and prompts a profound examination of family bonds and a reckoning with the past. In Madeline Miller’s New York Times best seller, Circe, another daughter—this one a goddess and a witch—deals with an exile that, although not self-imposed like Vanessa’s, allows for self-reinvention. Although Upstate is set firmly in reality and Circe takes place in the fantastical world of Greek mythology, each raises urgent questions about self and other, family histories and societal norms. Join us for an illuminating conversation led by novelist Dawn Tripp, author of Georgia and Game of Secrets. Sponsored by PEN America.